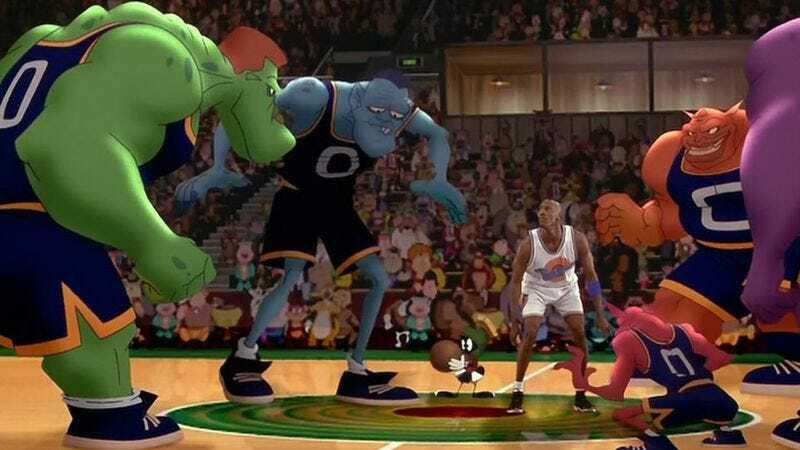 A Space Jam sequel has been as eagerly awaited as another Chicago Bulls championship (or whatever your home team may be, provided that it hasn’t brought home a title in decades). Fans have floated theories of the developing project, fueled by Warner Bros.’ filing for new Space Jam trademarks, thereby setting the ball aloft for an alley-oop that only LeBron James’ not-terrible comedic chops could complete. And now the long-rumored sequel has two new players, as Star Trek Beyond’s Justin Lin has just signed on to direct, with an assist on the script from Andrew Dodge (Bad Words). James joined the project back in July, signing a deal with Warner Bros. that revived rumors of the sequel. This was more than a year after his reps shot down the idea of James leading the intergalactic pick-up game, which presumably means they’ve all had a chance to (re)watch the original, and can already envision the repartee with Bill Murray or whatever other athletes join the cast. Unfortunately, the Cleveland Cavalier was not part of the Space Jam table read at TIFF, and therefore could not give us a preview of his green-screen chemistry.